Gentlemen, I wouldn’t trust this overgrown pile of microchips any further than I can throw it! I write this whilst sitting in an airport lounge, having been disembarked from my plane due to a technical fault. I don’t really begrudge the airline in question; it was a plumbing issue! This is a physical failure of the aircraft in question and just one of those things (unless I find out later they didn’t do the appropriate preventative maintenance of course)! Sometimes failures just happen and I would far rather it was just a plumbing issue, not an engine issue! What is not excusable, however, is if the downtime is easily preventable; for example, if you are designing a solution which has no resilience! This is obviously more common with small and medium sized businesses, but even large organisations can be guilty of it! 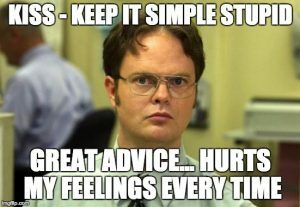 I have had many conversations in the past with companies who have architected their solutions with significant single points of failure. More often than not, this is due to the cost of providing an HA stack. I fully appreciate that most IT departments are not swimming in cash, but there are many ways around a budgetary constraint and still provide more highly available, or at least “Disaster Resistant” solutions, especially in the cloud! 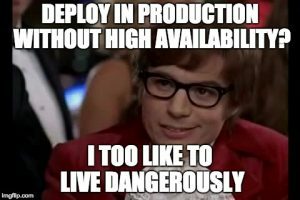 Now obviously there is High Availability (typically within a single region or Data Centre), and Disaster Recovery (across DCs or regions). An ideal solution would achieve both, but for many organisations it can be a choice between one and the other! Budgets are tight, what can we do? Building on a public cloud platform (and assuming that the application supports load balancing), why not test running twice as many instances with half the specification each? In most cases, unless there are significant storage quantities in each instance, the cost of scaling out this way is minimal. If there is a single instance, split it out into two instances, immediately doubling your availability. If there are two instances, what about splitting into 4? The impact of a node loss is then only 25% of the overall throughput capacity for the application, and can even bring down the cost of HA for applications where the +1 in N+1 is expensive! Again in cloud, if there are more than two availability zones in a region (e.g. on AWS), then take advantage of them! If an application can handle 2 AZs, then the latency of adding a third shouldn’t make much, if any difference, and costs will only increase slightly with a small amount of extra inter-AZ bandwidth or per-AZ services (e.g NAT gateways). Again, in this scenario the loss of an AZ will only take out 33% of the application servers, not 50%, so it is possible to reduce the number of servers which are effectively there for failover only. 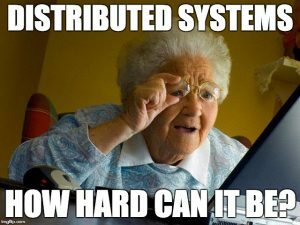 If you can’t afford to run an application as multi-AZ or multi-node, consider putting it in an auto-scaling group or scale-set with a minimum and maximum of 1 server. That way if an outage occurs or int he case of AWS, an entire AZ goes down, an instance will automatically be regenerated in an alternative AZ. What if my app doesn’t like load balancers? 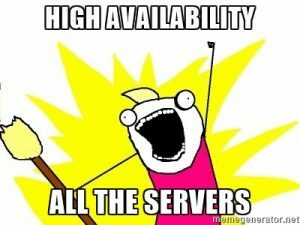 If you have an application which cannot be load balanced, you probably shouldn’t be thinking about running it in the cloud (not if you have any serious availability requirements anyway!). It amazes me how many business critical applications and services are still running in single servers all over the world! If your organisation is dead set on using cloud for a SPoF app, then making it as ephemeral as possible can help. Start by splitting the DBs from the apps, as these can almost always be made HA by some means (e.g. master/slave replication, mirroring, log shipping, etc). Failover nodes also often don’t attract a license fee from many vendors (e.g. MS SQL), so always check your license documentation to see what you can achieve on the cheap. 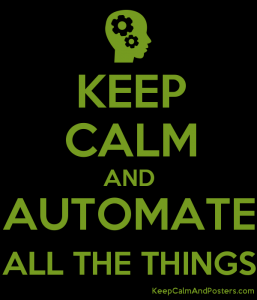 Automate! If you can deploy application server(s) from a script, even if the worst happens, the application can be redeployed very quickly, in a consistent fashion. The trend at the moment is moving towards a more agile deployment process and automated CI/CD pipelines. This enables companies to recover from an outage by rebuilding their environments and redeploying code rapidly (as long as they have a replica of the data or a highly available datastore!). If it’s not possible to script or image the code deployment, then taking regular backups (and snapshots where possible) of application servers, and testing them often is an option! 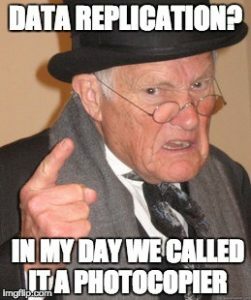 If you don’t want to go through the inflexible, unreliable and painful nightmare of doing system state restores, then take image-based backups (supported by the vast majority of backup vendors nowadays). Perhaps even syncing of application data to a warm standby server which can be brought online reasonably swiftly, or even use an inexpensive DR service such as Azure Site Recovery, to provide an avenue of last resort! If maybe cloud isn’t the best place to locate your application, then provide HA at the infrastructure layer by utilising the HA features of your favourite hypervisor! For example, VMware vSphere will have an instance back up and running within a minute or two of the failure of a host using the vSphere HA feature (which comes with every edition except Essentials!). On the assumption/risk that the power cycle does not corrupt OS, applications or data, you minimise exposure to hardware outages. 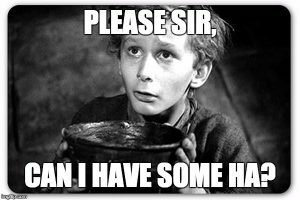 If the budget is not enough to buy shared storage and all VMs are running on local storage in the hypervisor hosts (I have seen this more than you might imagine! ), then consider using something like vSphere Replication or Hyper-V Replicas to copy at least one of each critical VM role to another host, and if there are multiple instances, then spread them around the hosts. Finally, make sure whatever happens there is some form of DR, even if it is no more than a holding page or application notification and a replica or off-site backup of critical data! Customers and users would rather see something telling them that you’re working to resolve the problem, than getting a spinning wheel and a timeout! 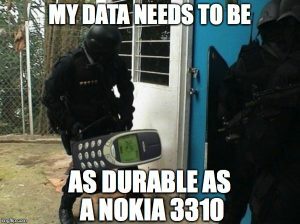 If you can provide something which is of limited functionality or performance, then it’s better than nothing! There are a million and one ways to provide more highly available applications; these are just a few. The point is that providing highly available applications is not as expensive as you might initially think. Now go forth and HA! A couple of months ago I wrote a post entitled Scale-Out. Distributed. Whatever the Name, it’s the Future of Computing. Taking the concept a step further, I recently started thinking about other elements in IT which are moving in that direction; not just applications and storage, but underlying infrastructure and management elements too. The current breed of infrastructure engineers and startups have grown up in this era and the great thing is that this has now become part of their DNA! Typically, no longer are solutions designed from scratch to be scale-up in nature; hitting some artificial limit in capacity or having to scale specific elements of a solution to avoid nasty bottlenecks. Instead, infrastructure is being designed to scale-out natively; distributed architectures, balancing workloads and metadata evenly across platforms. This has the added benefit, of course, of making them more resilient to failure of individual components. One great example of this new architecture paradigm (drink! ), is Rubrik, a startup in the backup space who we met at Tech Field Day 12. Their home-grown distributed file system, distributed metadata, built in off-site replication and global namespace, provide a massively scalable and resilient backup system. All of the roles from a traditional backup solution (such as backup proxies/media servers/metadata servers, etc) are now rolled into a single, scale-out platform. As I seem to find myself saying more and more often these days, KISS personified! With shrinking IT teams, I commonly find that companies are willing to trade budget for time savings. Utilising a simple, policy-driven management interface and enabling off-site replication to be done over-the-wire, has a lot of benefits to operational time! Much like any complex machine, under the hood, Rubrik is pretty impressive. There is a masterless cluster management solution, multi-tier flash and disk for performance, and a clever redirect-on-write snapshot chain algorithm, which minimises capacity utilisation whilst providing very granular restores. The key thing here, though, is we don’t really care; we are a consumer society who just wants things to work, as we have more exciting things than backup to worry about! Disclaimer: My flights, accommodation, meals, etc at Tech Field Day 12 were provided by Tech Field Day, but there was no expectation or request for me to write about any of the vendors products or services. What’s your definition of Cloud DR, and how far down do the turtles go? WARNING – Opinion piece! No Cloud Holy Wars please! DR in IT can mean many different things to different people. To a number of people I have spoken to in the past, it’s simply HA protection against the failure of a physical host (yikes!)! To [most] others, it’s typically protection against failure of a data centre. As we discovered this week, to AWS customers, a DR plan can mean needing to protect yourself against a failure impacting an entire cloud region! But how much is your business willing to pay for peace of mind? When I say pay, I don’t just mean monetarily, I also mean in terms of technical flexibility and agility as well. What are you protecting against? What if you need to ensure that in a full region outage you will still have service? In the case of AWS, a great many customers are comfortable that the Availability Zone concept provides sufficient protection for their businesses without the need for inter-region replication, and this is perfectly valid in many cases. If you can live with a potential for a few hours downtime in the unlikely event of a full region outage, then the cost and complexity of extending beyond one region may be too much. That said, as we saw from the failure of some AWS capabilities this week, if we take DR in the cloud to it’s most extreme, some organisations may wish to protect their business against not only a DC or region outage, but even a global impacting incident at a cloud provider! This isn’t just technical protection either (for example against a software bug which hits multiple regions); what if a cloud provider goes under due to a financial issue? Even big businesses can disappear overnight (just ask anyone who used to work for Barings Bank, Enron, Lehman Brothers, or even 2e2!). 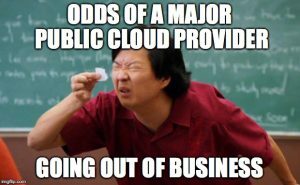 Ok, it’s true that the likelihood of your cloud provider going under is pretty teeny tiny, but just how paranoid are your board or investors? Ultimate Cloud DR or Ultimate Paranoia? For the ultimate in paranoia, some companies consider protecting themselves against the ultimate outage, by replicating between multiple clouds. In doing so, however, they must stick to using the lowest common denominator between clouds to avoid incompatibility, or indeed any potential for the dreaded “lock-in”. At that point, they have then lost the ability to take advantage of one of the key benefits of going to cloud; getting rid of the “undifferentiated heavy lifting” as Simon Elisha always calls it. They then end up less agile, less flexible, and potentially spend their time on things which fail to add value to the business. What is best for YOUR business? These are all the kinds of considerations which the person responsible for an organisation’s IT DR strategy needs to consider, and it is up to each business to individually decide where they draw the line in terms of comfort level vs budget vs “lock-in” and features. No cloud is going to be 100% perfect for every single workload, so why not use this fact to our advantage? Within reason, it is possible to spread workloads across two or more public clouds based on whichever is best suited to those individual workloads. Adopting a multi-cloud strategy which meets business objectives and technical dependencies, without going crazy on the complexity front, is a definite possibility in this day and age! (Ok, perhaps even replicating a few data sources between them, for the uber critical stuff, as a plan of last resort!). The result is potentially a collection of smaller fault domains (aka blast radii! ), making the business more resilient to significant outages from major cloud players, as only some parts of their infrastructure and a subset of applications are then impacted, whilst still being able to take full advantage of the differentiating features of each of the key cloud platforms. Of course, this is not going to work for everyone, and plenty of organisations struggle to find talent to build out capability internally on one cloud, never mind maintaining the broad range of skills required to utilise many clouds, but that’s where service providers can help both in terms of expertise and support. They simply take that level of management and consulting a little further up the stack, whilst enabling the business to get on with the more exciting and value added elements on top. Then it becomes the service provider’s issue to make sure they are fully staffed and certified on your clouds of choice. Whatever your thoughts on the approach above are, it’s key to understand what the requirements are for an individual organisation, and where their comfort levels lie. I would love to hear your thoughts? Don’t forget to comment below! So last week I was kindly invited to share a ride in Marc Farley‘s car (not as dodgy as it sounds, I promise!). The premise was to discuss the recent announcements around Seagate’s 60TB SSD, Samsung’s 30TB SSD, their potential use cases, and how on earth we can protect the quantities of data which will end up on these monster drives?! As we dug into a little in the VulcanCast, many use cases will present themselves for drives of this type, but the biggest challenge is that the IOPS density of the drives not actually very high. On a 60TB drive with 150,000 read IOPS (and my guess but not confirmed is ~100,000 or fewer write IOPS), the average IOPS per GB is actually only a little higher than that of SAS 15K drives. When you start adding deduplication and compression into the mix, if you are able to achieve around 90-150TB per drive, you could easily be looking at IOPS/GB performance approaching smaller 10K SAS devices! The biggest benefit of course if that you achieve this performance in a minuscule footprint by comparison to any current spindle type. Power draw is orders of magnitude lower than 10/15K, and at least (by my estimates) at least 4x lower than using NL-SAS / SATA at peak, and way more at idle. As such, a chunk of the additional cost of using flash for secondary tier workloads, could be soaked up by your space and power savings, especially in high-density environments. SAS bus speeds could also end up being a challenge. Modern storage arrays often utilise 12GB SAS to interconnect the shelves and disks, which gives you multiple SAS channels over which to transfer data. With over half a PB of usable storage in just a dozen drives, which could be 1PB with compression and dedupe, and that’s a lot of storage to stick on a single channel! In the long term, faster connectivity methods such as NVMe will help, but in the short-term we may even have to see some interesting scenarios with one controller (and channel) for every few drives, just to ensure we don’t saturate bandwidth too easily. 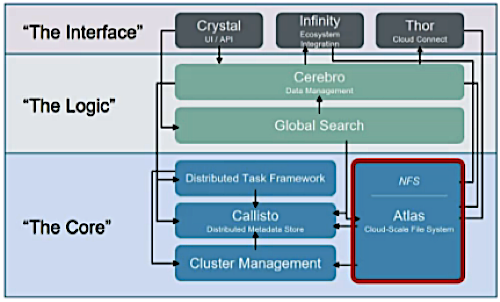 Unstructured data stores, such as file / NAS services where you may access data infrequently, possibly tiered with some faster flash for cache and big write bursts. Media storage for photo and video sites (e.g. facebook, but there are plenty of smaller ones such as Flickr, Photobox, Funky Pigeon, Snapfish, etc. Indeed the same types of organisations we discussed at the Storage Field Day roundtable session on high performance object storage. Obviously one big disadvantage here, would be the inability to dedupe / compress very much as you typically can’t expect high ratios for media content, which then has the effect of pushing up the cost per usable GB. Edge cache nodes for large media streaming services such as NetFlix where maximising capacity and performance in a small footprint to go in other providers data centres is pretty important,whilst being able to provide a consistent performance for many random read requests. For very large storage use cases, I could easily see these drives replacing 10K and if the price can be brought down sufficiently, for highly dedupable (is that a word?) 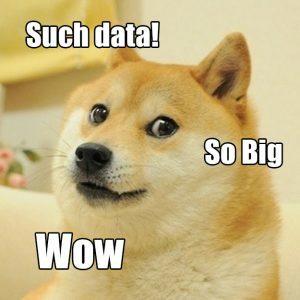 data types, starting to edge into competing with NL SAS / SATA in a few years. 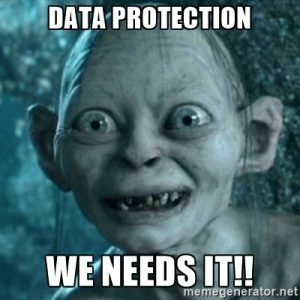 Here’s where things start to get a little tricky… we are now talking about protecting data at such massive quantities, failure of just two drives within a short period, has the potential to cause the loss of many hundreds of terabytes of data. At the same time, adding additional drives for protection (at tens of thousands of dollars each) comes with a pretty hefty price tag! Unless you are buying a significant number of drives, the cost of your “N+1”, RAID, erasure coding, etc is going to be so exorbitant, you may as well buy a larger number of small drives so you don’t waste all of that extra capacity. As such, I can’t see many people using these drives in quantities of less than 12-24 per device (or perhaps per RAIN set in a hyper-converged platform), which means even with a conservatively guestimated cost of $30k per drive, you’re looking at the best part of $350-$700k for your disks alone! In addition, we need to consider the rate of change of the data. Let’s say our datastore consists of 12x60TB drives. We probably have about 550TB or more of usable capacity. Even with a rate of change of just 5%, we need to be capable of backing up 27TB from that single datastore per night just to keep up with the incrementals! If we were to use a traditional backup solution against something like this, to achieve this in a typical 10-hour backup window will generate a consistent 6Gbps, never mind any full backups! Ok, let’s say we can achieve these kinds of backup rates comfortably. Fine. Now, what happens if we had failure of a shelf, parity group or pool of disks? We’ve probably just lost 250+TB of data (excluding compression or dedupe) which we now need to restore from backup. Unless you are comfortable with an RTO measured in days to weeks, you might find that the restore time for this, even over a 10Gbps network, is not going to meet your business requirements!!! This leaves us with a conundrum of wondering how we increase the durability of the data against disk failures, and how do we minimise the rebuild time in the event of data media failure, whilst still keeping costs reasonably low. Today, the best option seems to me to be the use of Erasure Coding. In the event of the loss of a drive, the data is then automatically rebuilt and redistributed across many or all of the remaining drives within the storage device. Even with say 12-24 drives in a “small” system, this would mean data being rebuilt back up to full protection in 30-60 minutes, instead of 18-24 hours! That said, this assumes the connectivity on the array bus / backplane is capable of handling the kinds of bandwidth generated by the rebuilds, and that this doesn’t have a massive adverse impact on the array processors! The use of “instant restore” technologies, where you can mount data direct from the backup media to get up and running asap, then move the data transparently in the background also seems to me to be a reasonable mitigation. 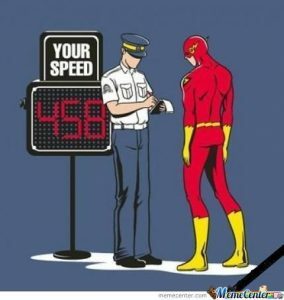 In order to maintain a decent level of performance, this will likely also drive the use of flash more in the data protection storage tiers as well as production. Whatever happens, the massive quantities of data we are beginning to see, and the drives we plan to store them on are going to need to lead us to new (as yet, not even invented) forms of data protection. We simply can’t keep up with the rates of growth without them!